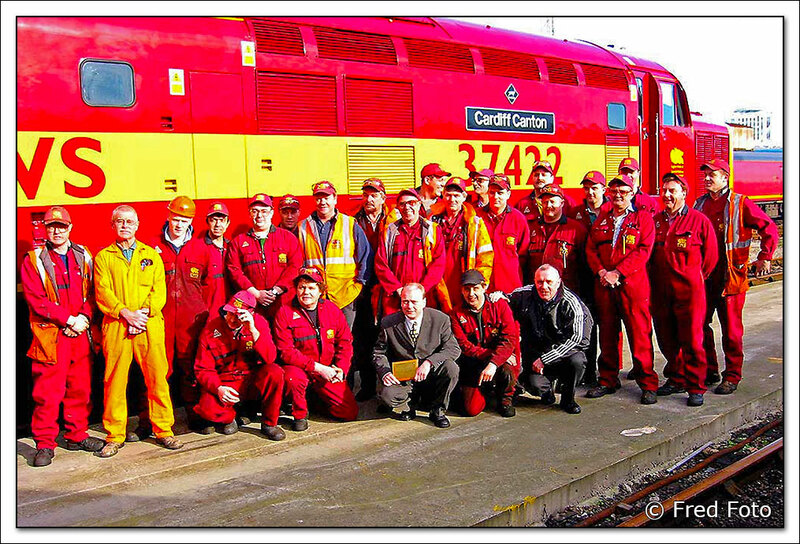 Class 37/4, 37422 was named Cardiff Canton at Canton Depot on Friday 31st January 2003 following completion of its F exam. 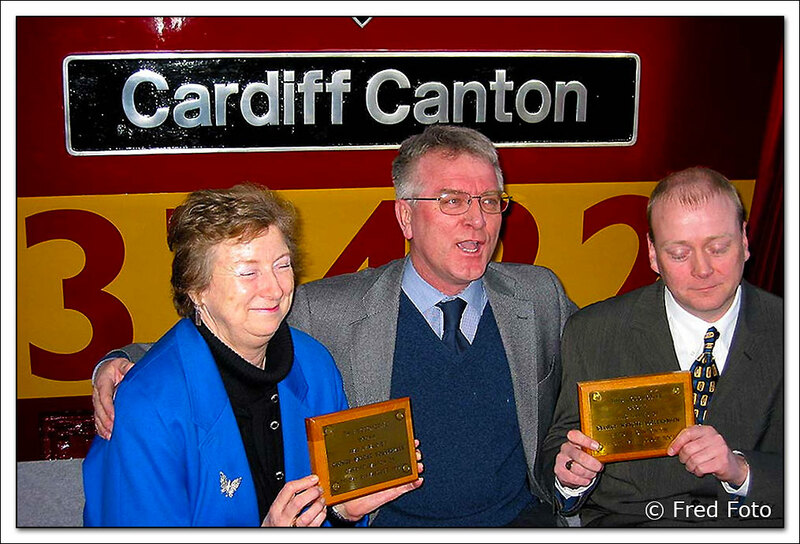 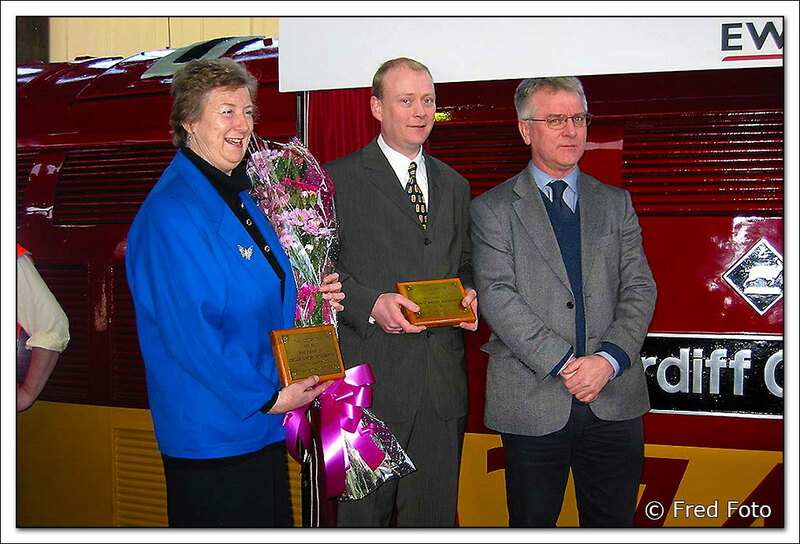 The naming ceremony was undertaken by Barry Evans, EWS Head of Safety Assurance, Glyn Wright and his mother, who was the wife of George Wright deceased, whom named 56044 Cardiff Canton Quality Assured in a similar ceremony twelve years ago. 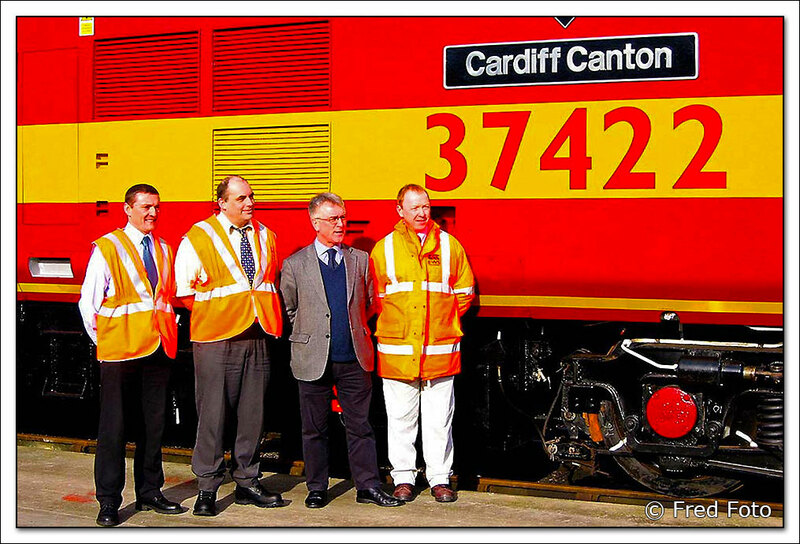 The event was also attended by the staff of Canton Depot and special guest Tom Clift, General Manager Valley Lines whom hires in three class 37/4's from EWS for their rush hour services between Cardiff and Rhymney. 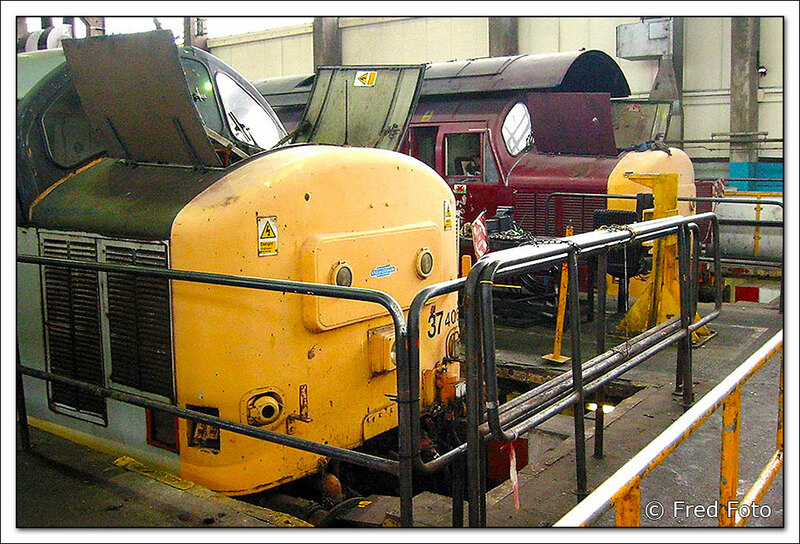 37422 Cardiff Canton is the first of three Class 37/4's to have received an F exam at Canton Depot with 37417 and 37406 following closely behind. 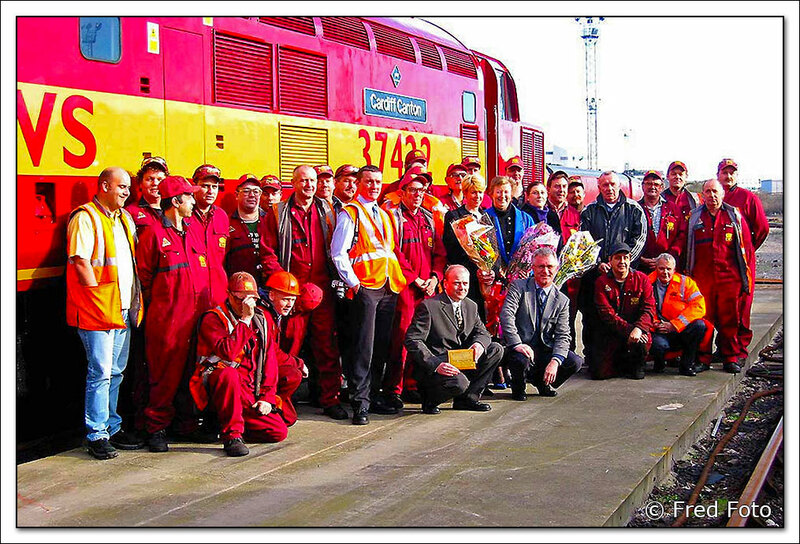 The F exam consists of component stripping and complete refurbishment of the locomotive whilst the engine crankcase, alternator and crankshaft remain in situ. 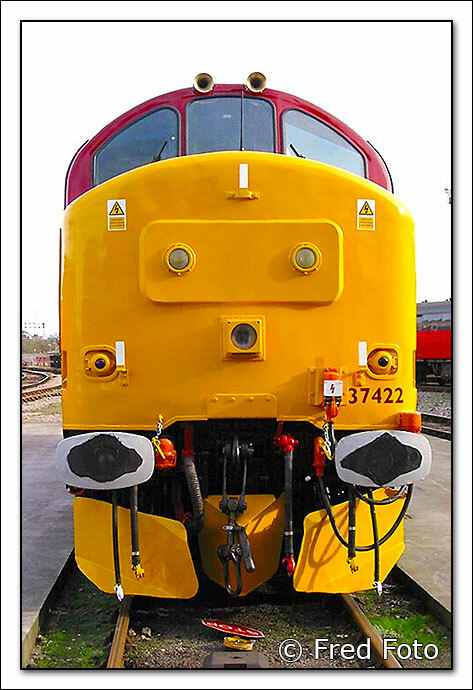 This work has been carried by several teams of highly skilled technicians utilising new and reconditioned components that have been supplied to the highest standards of engineering quality. 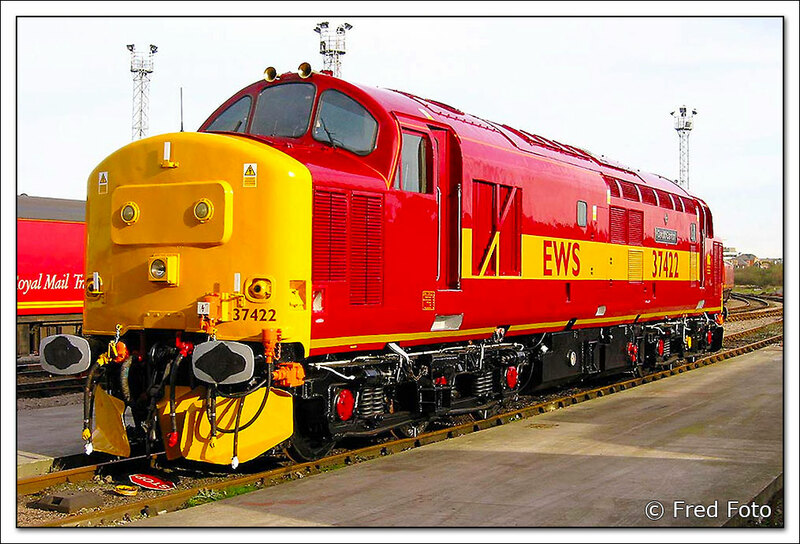 Typically, bogies, cylinder heads, pistons, liners, connecting rods, radiators, compressors, traction motors, turbo chargers and intercoolers are some of the componenets that are removed. 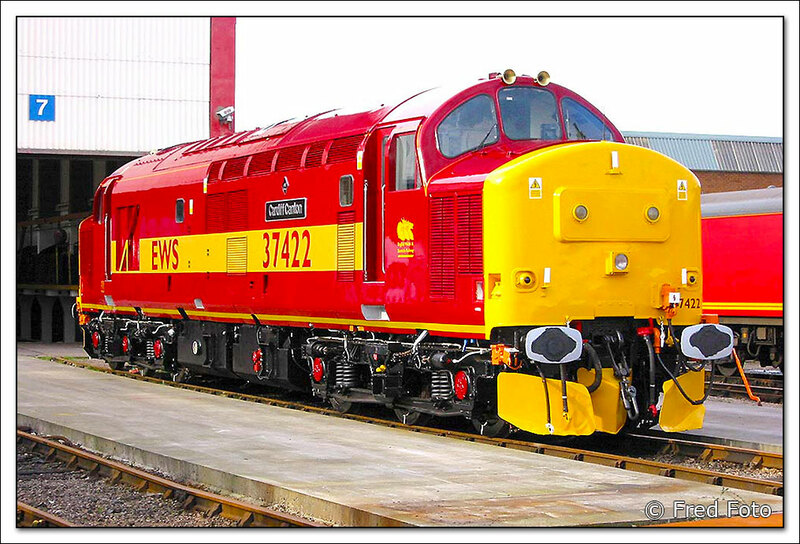 Once reassembled, the locomotive is subjected to a lengthy and rigorous testing programme utilising Load Banks which verify that it is performing to the prescribed performance levels and producing a nominal 1750hp before being returned back into traffic.